Anyone else love a bowl of mac ’n cheese? 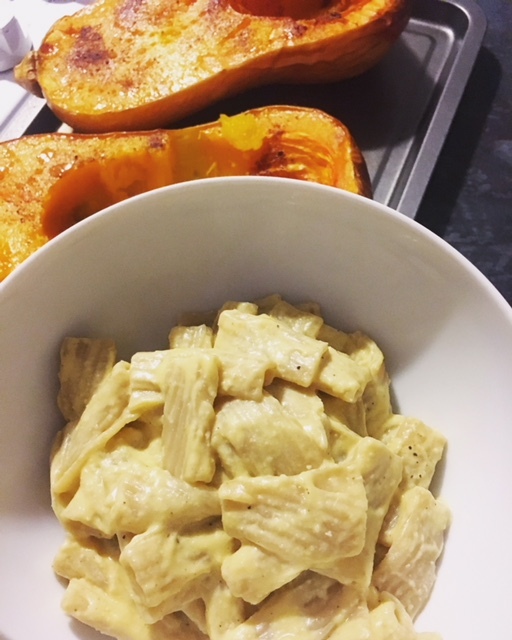 We recently cooked up a dairy-free, creamy, butternut squash cheez recipe (inspired by @leefromamerica), and we have come to find that it makes for a beautiful cheez to your mac. Whether you’re vegan, lactose-intolerant, or simply seeking a healthier version to your mac ’n cheese, we highly suggest you cook this up for dinner as soon as possible. This creamy vegan cheez is easy-peasy, and quite versatile! Cut butternut squash in half, lengthwise. Scoop out seeds. Drizzle inside of each half with olive oil and sprinkle with cinnamon. 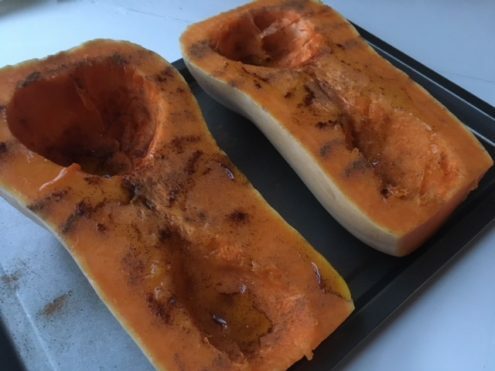 Place butternut squash halves on baking sheet, face up, and place in oven for 40-45 minutes. Will be tender and a bit browned when ready. To make the cheez, combine all cheezy cheez ingredients into a blender. * We recommend using an immersion blender. 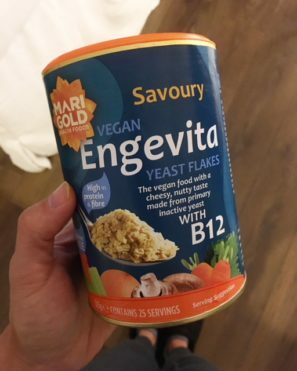 Blend until all ingredients combined and result is creeeeeeeamy! Pour over your cooked pasta for vegan mac ’n cheez, use as a dip for your roasted veggies, or drizzle over tortilla chips for vegan nachos! Or how about all three?! You’ll have plenty of butternut squash for three cheezy meals! *Use warm roasted butternut squash from the oven, or cold leftovers from the fridge. Pop into our Dundee or St. Andrews shop for your ingredients list. We have a variety of pasta in stock, including gluten-free! Yes, you read it right. Vegan and gluten-free mac ’n cheez dreams are about to come true!